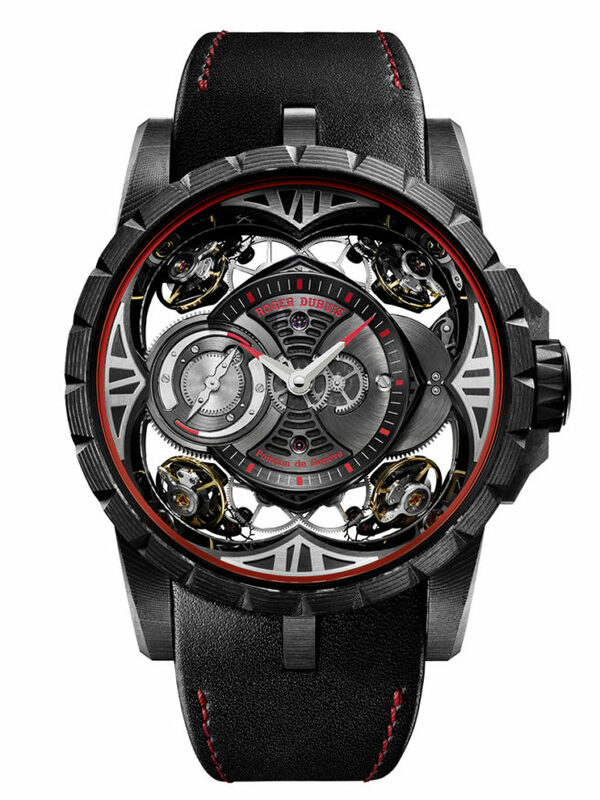 “QUATOUR” references the four balance mechanisms regulating the Roger Dubuis Excalibur Quatour. 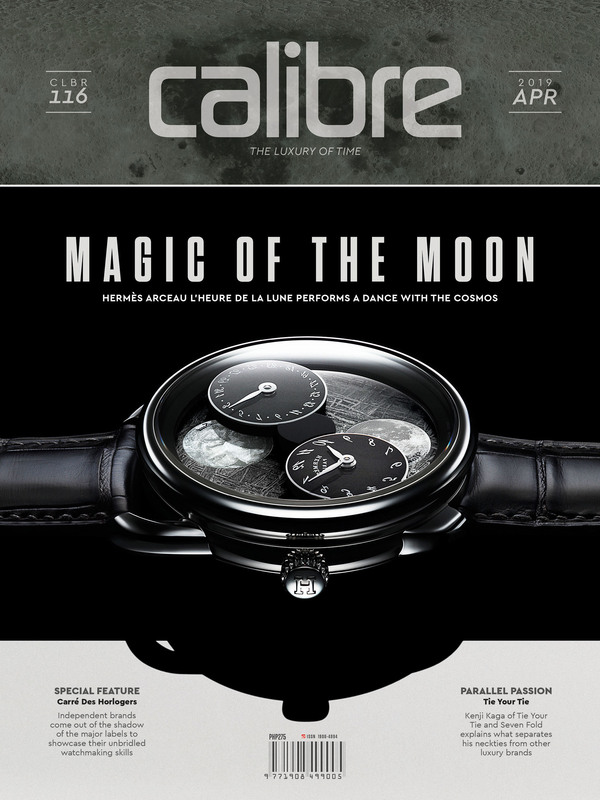 Introduced at SIHH 2013, this example of genuine haute horlogerie also relies on differentials to distribute energy to each of its balance wheels. Yes, those differentials work exactly in the same manner (in principle, naturally) as differentials on car axles do. So, basically, we’re talking all-wheel drive here — Quatour as Quattro, if you will. 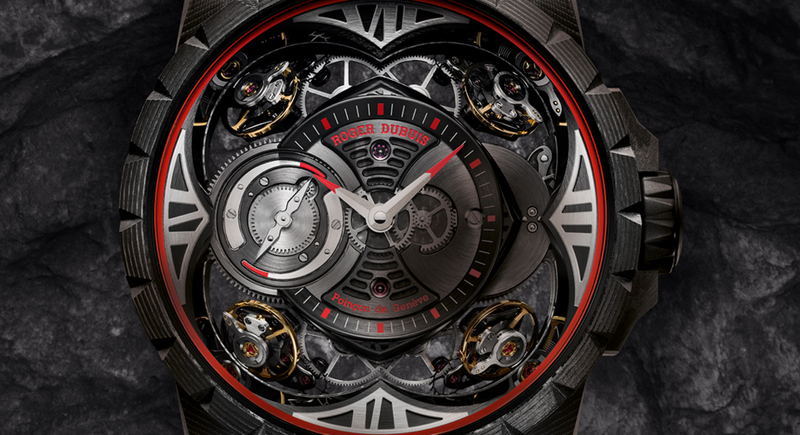 Using four balance wheels is Roger Dubuis’s radical solution to the eons-old problem of compensating for gravity in timepieces (wristwatches especially) so these remain accurate. According to the watchmaker, the quartet allows each wheel to correct one another as the watch constantly shifts from one position to the next — as the case is when it’s strapped to the wrist. All right, this was already addressed by the tourbillon for about as long as the concern had been identified (or imagined), but devising something novel is simply sticking to the spirit of timekeeping, if not merely succumbing to the nature of man, right? 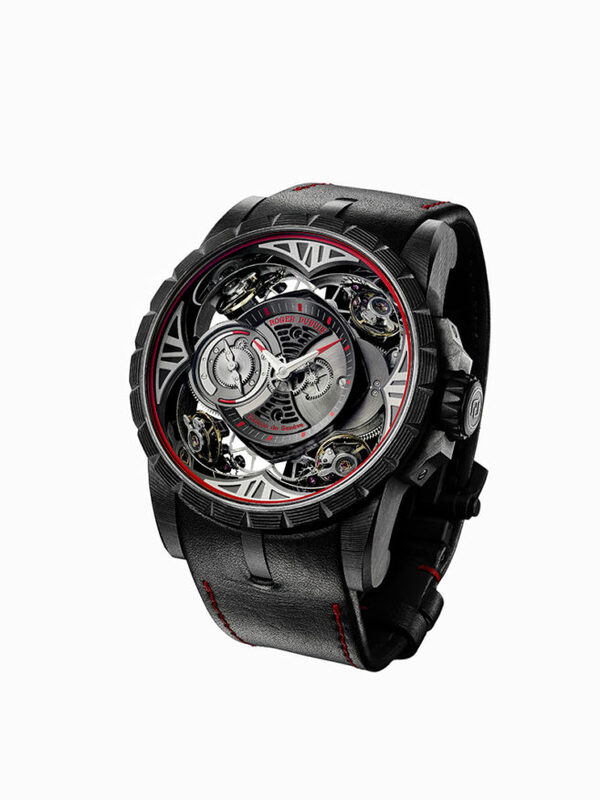 In this context, Roger Dubuis can only be admired for its Quatour. For this four-wheel setup, in which the four balance wheels are placed on the four “corners” of the movement, Roger Dubuis installed differentials (a concept it learned from its double tourbillon, which was linked by a differential). One at the center links the movement’s two barrels, while the others allot energy to the pair of balance wheels on top, and to those at the bottom. Because each wheel beats at a slightly different rate, they are synchronized pair by pair via a tool designed specifically for the purpose. The resulting average beat rate of 115,200vph is, Roger Dubuis says, enough for the watch to be accurate to within two seconds in a day. Well, the maison notes a chunk of the credit here goes to the four balance wheels, which instantly compensate for the constantly changing positions of the watch when it’s worn. By contrast, it takes a minute for a tourbillon to do the same. As can be imagined, such complexity requires substantial wrist real estate, and so the Excalibur Quatour is a huge piece — it’s a full 48 millimeters across, and though Roger Dubuis does not say how thick it is, it’s quite chunky. The original eight pieces were housed in rose gold, and another three came in silicon cases. At SIHH 2017 eight more were produced, all encased in cobalt-chromium-molybdenum alloy. 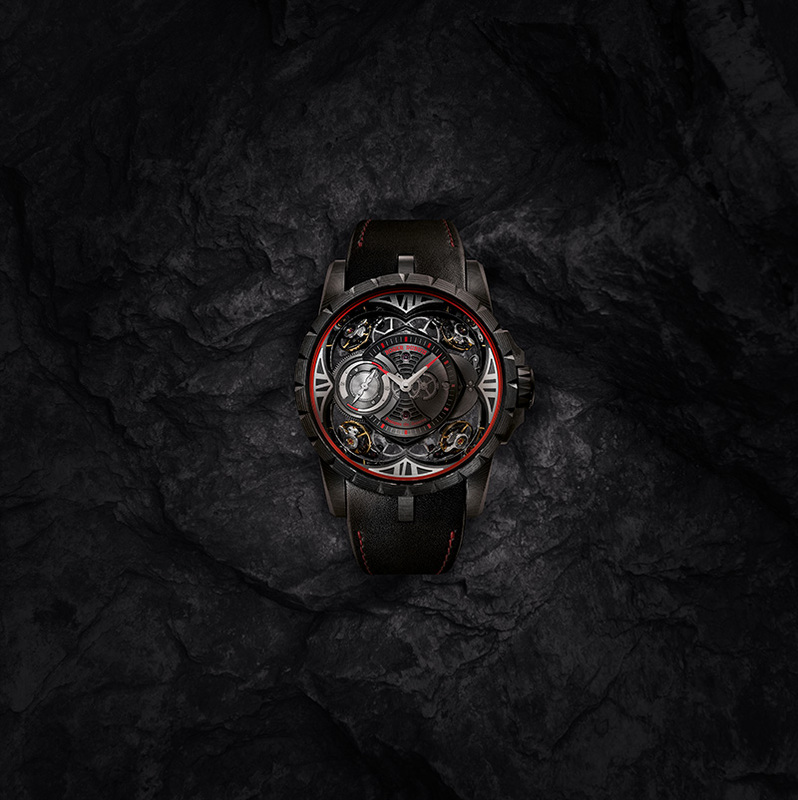 This year, Roger Dubuis is presenting eight new pieces belonging in the all-black Excalibur Quatuor Carbon series. The watch has a case, bezel and crown made from multiple layers of carbon-fiber, allowing it aesthetics that’s at once space age and sinister. Sapphire crystals on top and at the back of the watch display the hand-wound calibre RD101SQ which, like the case and strap, now wears a smattering of red accents. Fully wound, it stores energy enough for 40 hours. As such, the Excalibur Quatour defies gravity yet again.